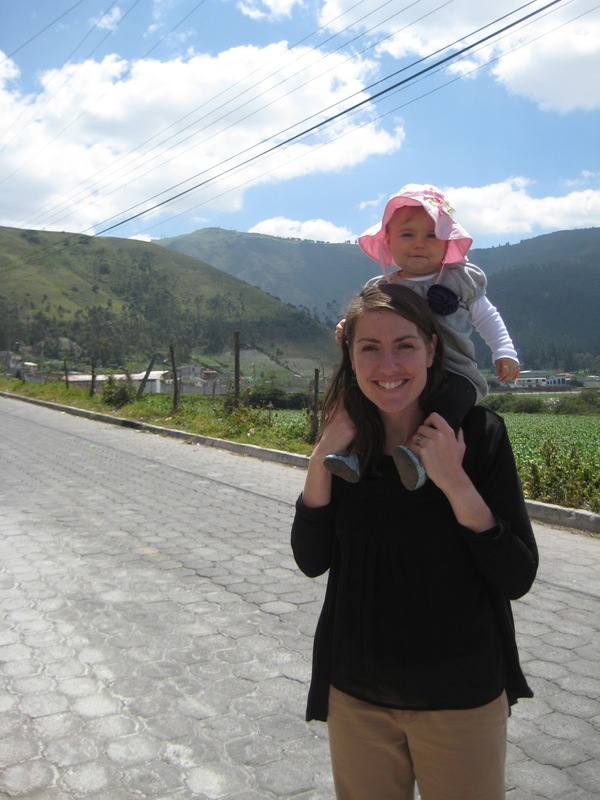 The Olsens: Serving In Ecuador: On Suffering. This has been quite the year of transition for us. Kaia turns one this weekend, and it’s crazy to realize that just a year ago we were ‘living’ at the International Teams headquarters in Elgin, Illinois, without a daughter. Before that we had been ‘living’ in many different spare rooms as we traveled around the country support raising for 4 1/2 months. We had difficulties and trying times over the past year: car problems, learning to care for a newborn, packing and unpacking over and over again, living in a foreign country (Costa Rica), learning a new language, adjusting to a new culture (twice, now), and many processes to go through with governments, embassies, and visas. Adjusting to life here in Ecuador really hasn’t been bad. There have certainly been ups and downs, but it is so good to finally be in the country we’ve been working towards for close to two years now. At the beginning of this month I went to Santa Clara, an area in Quito where there are vendors that sell handmade wood furniture. This furniture is typically cheaper or the same price as non-wood or partial-wood furniture that you would buy in other bigger stores. The other cool thing is that you can commission people there to make furniture pieces to the sizes and styles you prefer. Obviously, they’re skills are varied and perhaps limited, but it’s cool that you can bring them a picture from a catalog and they can try their best to replicate it. This doesn’t cost any more than the pieces in their shops... it just costs more in that you can’t take it home with you that same day. We decided to commission the vast majority of the wood furniture we wanted through these various furniture makers in Santa Clara. I actually ended up working with 5 different men from different store fronts when all was said and done. The time estimations or promises ranged anywhere from 5 days to 2 weeks. One guy I worked with said 2 weeks and delivered early-- in 11 days! Three others got me their furniture within 12 hours of when the promised. The 5th has still yet to deliver. He told me two weeks. Then he told me 3 weeks. Then he told me in three more days. That was supposed to be today. Tomorrow will make 26 days. When he didn’t stick to his word the first time, I was angry. All of the others had delivered on time (relatively) and he tried telling me that I had written things down wrong and they still had another week. He has outright lied to me several times now. It’s frustrating. But it’s not the end of the world. It would be really nice to have our coffee table and a cabinet to put our sheets and blankets in that are still sitting in a suitcase... but it’s not the end of the world. The truth is, I have responded to this whole situation like it was the greatest injustice ever committed. I got pretty heated. And I think a lot of it was just every hoop we’ve had to jump through and every frustrating process and lie we’ve encountered coming to a head in this one situation... but I was so silly in thinking of how terrible it is that I don’t get to have a coffee table to put my feet up on yet. This is not suffering. There are people suffering for the gospel all over the world. There is persecution and terrible acts being committed against christians who are living their lives openly or secretly for Christ. 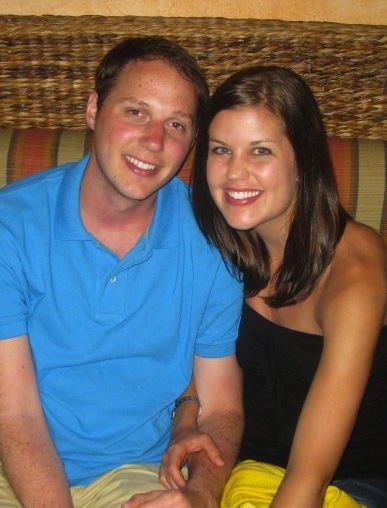 I have a friend from college who lost his wife to a battle against cancer today. I remember meeting his wife, Christie, our freshman year... I buried her dorm-room window in snow with a friend of mine. Today she left behind a daughter under 2 years old and a husband who is now a widower at 27 or 28 years old. This is pain. This is suffering. And yet Christ is in our suffering. We had an annual team conference this weekend, and I had the opportunity to talk briefly with our soon-to-be interim team leader. He was telling me how glad it made him that in the face of adversity-- in our hardest, most trying times, that is when God is most glorified. Those are the times that we realize we are not capable, we don’t have the strength or ability, and we are forced to rely on God to fill in and empower us because we simply can’t do it ourselves. When we fall back in exhaustion and inability into the arms of Christ, He takes that soft, malleable clay and makes beautiful things. And He uses us to do and say amazing things. So this leader was telling me how excited he was for these coming challenging days to arrive, where he would be pushed in difficult ways to grow, be used, and allow Christ to use him. So I will rejoice in the face of suffering and difficult times. I will cry, I will journal, I will make art, and do anything else I can to get the emotions out... and I will lay my body and will down in the hands of Christ to use me and glorify my creator. For He is able to do immeasurably more than we can ever hope or imagine. I will miss my friend Christie... and my heart aches for her family-- especially for her husband and daughter. But what a joy to know she ran the race in Christ’s name and that now she is in glory with our Father, praising His name with the angels and those who have gone before us. Amazing.